The Russian government plans to share bits of the giant Yamal prize with international companies. However, rather than a sign of liberalism, this represents an attempt to address the fundamental challenges that the expanding Gazprom is facing in Europe. Prime minister Vladimir Putin unveiled a new gas strategy in the statement he made recently in Salekhard, the Arctic capital of the Yamal-Nenets Autonomous Region. Mr Putin personally presented a summary of the giant Yamal gas resources to the top executives of major oil and gas companies. For the first time, the Kremlin talked of making the gas-rich region accessible to foreigners. Some commentators conclude that the economic downturn is forcing Russia to surrender part of its strategic industry to foreign control. But is that really so? “This gesture, inviting foreign companies to attend the Salekhard meeting, indicates both our openness and willingness to work together,” said Mr Putin. According to Alexey Miller, Gazprom CEO, gas production in Yamal over the next 20 years is set to grow from zero to 360 billion cubic metres – or by two thirds of current output. This might sound surreal given that, in recent years, Moscow has consistently wrenched away multinationals’ stakes in big hydrocarbon projects. And now they are cordially welcomed to help themselves to some of the Russia’s biggest unexplored gas fields in a region that has enough potential to become a major gas production centre. Yamal, however, is a tough environment for development, due to both a punishing climate (with its permafrost, freezing temperatures, strong winds, frequent storms and almost year round offshore ice cover) and the region’s distance from markets that must be reached by long, ice-obstructed sea routes. Still, there is a reason for foreign companies to scramble like mad to the “world’s end,” as Yamal translates from the Nenets language – the mind-boggling resources deep under the region’s surface. By 1993, Russian companies had discovered about 25 big gas, and oil and gas condensate fields. Based on Mr Putin’s statement, Yamal holds about 12 trillion cubic metres of booked gas, or over 25pc of the total Russian resource base – plus another 50 trillion cubic metres of exploration potential, according to Sergey Shmatko, the Russian energy minister. Any of these figures positions Yamal, along with the Persian Gulf, among the principal gas provinces that globally account for 177 trillion cubic metres of proven reserves. Emphasis on liquefied natural gas (LNG) was another important concept introduced at Salekhard. Never before had the key figures in the Russian energy industry spoken about the LNG segment with more enthusiasm and audacity of scale. LNG seems to have taken the place of new pipeline projects as a tool for diversifying exports. According to Mr Miller, Gazprom expects that the global LNG market will have doubled by 2020, and its share in this fast-growing business will have reached 25pc, which is only marginally short of Gazprom’s current pipeline export to Europe. Today, only one LNG plant in the world – on the coast of Alaska – operates in a sub-arctic climate. LNG projects require new technology solutions and, therefore, discussions with foreign partners must now begin. According to energy scientist Yuriy Orlov, Russian companies will not be able to manufacture heavy liquefасtion equipment in the near future. The Yamal meeting was attended by CEOs of all the invited multinational petroleum companies, except for BP and Chevron. “Although the principal barrier cited is the rough handling of corporate interests by the Russian government, has it done real damage to their business in Russia?” wonders Mr Simonov. Why does the Kremlin need foreign investment? One of the reasons stems from Russia’s bumpy relations with its main customer, the European Union. Daniel Yergin, the author of The Prize and a renowned energy expert, believes that Gazprom has not seen sufficient recent assurance from the EU to be confident that its potential gas production will be fully contracted: while Gazprom has 26 trillion cubic metres of recoverable gas, only 2.3 trillion cubic metres are covered by long-term contracts. In Mr Yergin’s opinion, the gas giant will have to move from less manageable pipeline contracts to more flexible LNG deliveries. Another essential reason for bringing in petroleum majors is the shortage of local technology – exacerbated by the diminishing volume of easily accessible gas. The lack of heavy manufacturing technology for LNG equipment is a handicap, given that Russian companies are already struggling to manufacture and install offshore pipelines or extract deep gas. Compared to the current Gazprom production base, where 70pc to 85pc of gas reserves come from the shallow Cenomanian reservoirs (about 700m deep), Yamal can offer only 27.5pc at this geological level. Russian companies have little experience in the medium and deep offshore operations that are critical for tapping the Yamal potential. One more factor is Gazprom’s need to share both risks and costs. “Gazprom estimates that the huge Bovanenkovo oil and gas condensate field will require $100bn to build the infrastructure and come onstream,” says Mr Lutyagin. “The total estimate is $200bn, and you have to bear in mind that planned costs tend to increase as the project progresses.” Put simply, Gazprom is unable to foot such bills on its own. The structure of foreign participation will be partially defined by the Comprehensive Yamal Development Programme, which is due in early 2010. Some of its messages, however, are discernable even today. Obviously, this is not a case of changing the political paradigm in order to let private investors gain some control over Russia’s strategic industries. The whole maneouvre looks like a large-scale campaign to support expansion of Gazprom into new markets through asset swapping. Mr Shmatko said that money alone will not buy foreign players their “admission tickets”. They will have to provide technology and access to foreign markets through “their existing marketing and logistics infrastructure” and asset swaps. 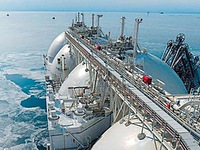 LNG projects, too, present a dilemma: will they pay off both for Gazprom and the state budget? “Moscow’s emphasis on LNG was unexpected for foreign investors,” says Mr Simonov. 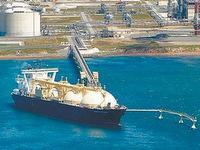 “LNG prices in the US are very low, and marketing prospects are unclear. By 2012, Qatar plans to export 100bn cubic metres of gas, while the US expects their import potential to be only 70bn by 2020.” In this light, Mr Putin’s words that Russian LNG will help balance the global market sound strange. The Russian government is ready to make sacrifices in order to gratify its ambition. At the Salekhard session, Mr Putin reiterated his idea of applying no mineral extraction tax to Yamal developments, while economic development mimister Elvira Nabiullina reassured foreign guests that staff are busy drafting proposals for a special economic zone in Yamal. In any case, Gazprom has already secured a sizeable exemption. Fiscal authorities levy a 30pc export duty on gas, but liquefied gas was legislated to be exempt in 2006. Hopefully, Yamal’s public coffers will see some gas money, too. Yamal contains 12 trillion cubic metres of booked gas, or more than 25pc of the total Russian reserves, and 55 trillion cubic metres of potential resources. By comparison, proven global gas reserves total 177 trillion cubic metres. According to Gazprom CEO Alexey Miller, Yamal can be developed to produce up to 360 bn cubic metres of gas per year by 2030. The Russian LNG plant in Sakhalin will run at full capacity of 9.6m tonnes in 2010, delivering 5pc of the global LNG output. The major portion of future gas supplies is already contracted by customers in Japan, the US and South Korea. An LNG facility is expected to be built near Teriberka in the Murmansk Region to handle gas from the giant Shtokman gas condensate field, and another will be constructed in Yamal at the Yuzhno-Tambeiskoye field.